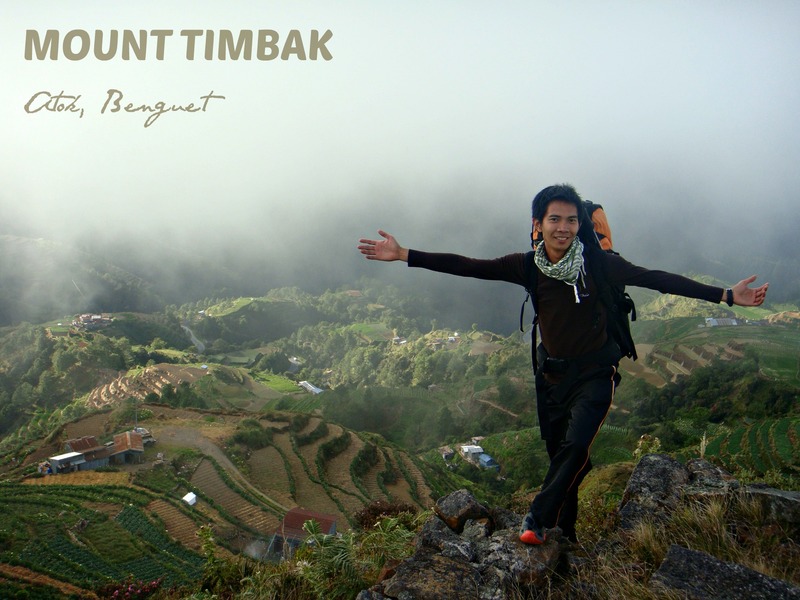 Mount Timbak – also called Mount Singakalsa is the 9th highest mountain in the Philippines and the 3rd in Luzon. It is one of the prominent peaks of the Cordillera Mountains range. 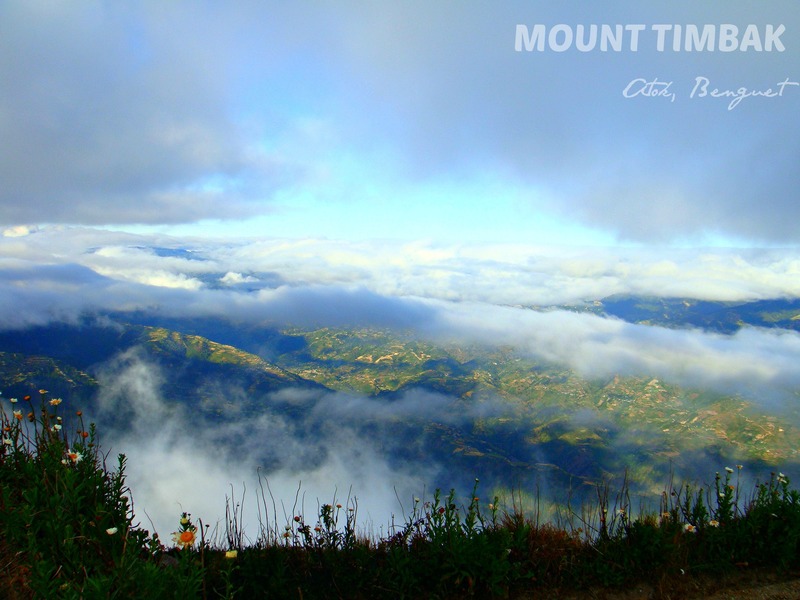 If you happen to pass by the Halsema Hi-way, one would take notice of this mountain’s imposing beauty that serves as a backdrop of the highest point in Atok, Benguet. 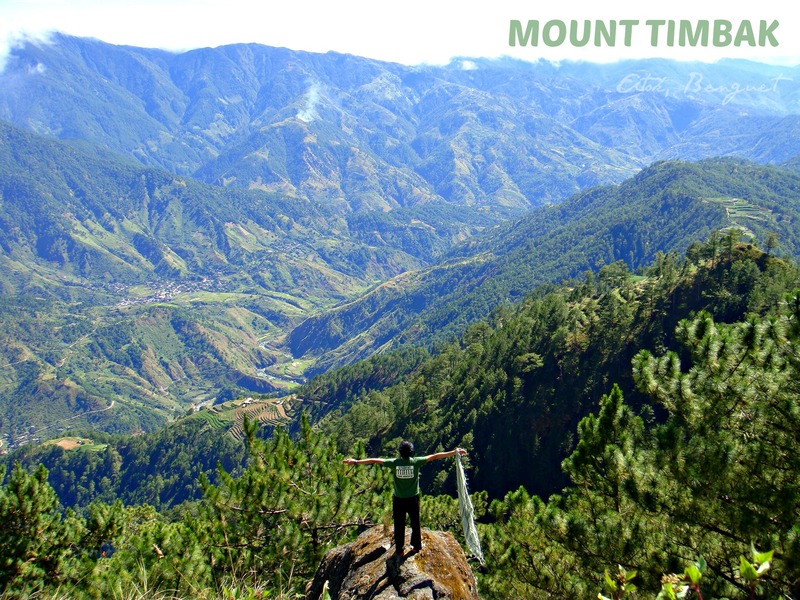 It maybe the third highest mountain in Luzon, next to Pulag and Tabayoc, however, the hike is pretty much easy. Most people who scale the mountain not for its height but for the mummies and vegetable and flower terraces along the way. At the summit of Mt. 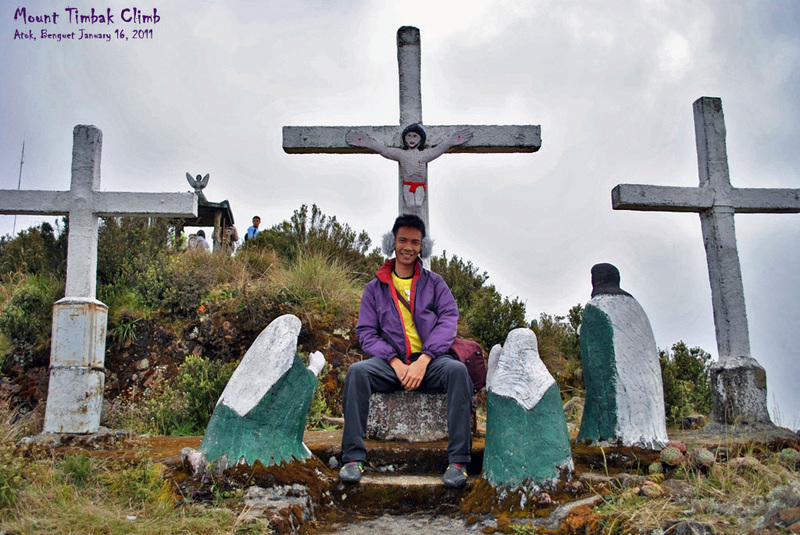 Timbak are three crosses and some other religious figures. 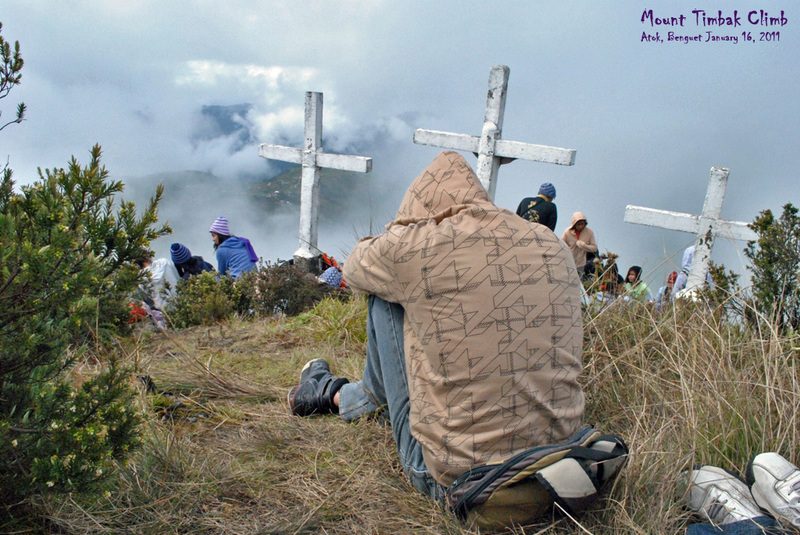 It is a great vantage point to see Mounts Tabayoc, Pulag, Purgatory, and Ugo on a clear day. One would be too glad to see also a sea of clouds, and if the weather is good – both sunrise and sunset viewing would be youre reward. 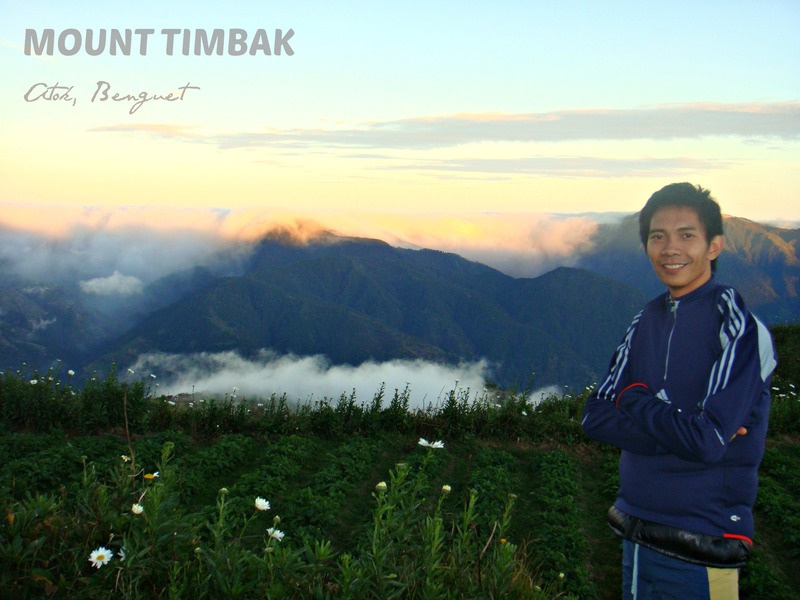 While one can do just a day hike to Mount Timbak, it would also be good to spend a night at the peak and experience a Pulag like weather. Find a flat area to pitch your tents on. Take note that the nightly winds (and even rain) can bring a very cold temperature. Most mountain-enthusiasts go to Mt. Timbak from Manila or from Baguio City. 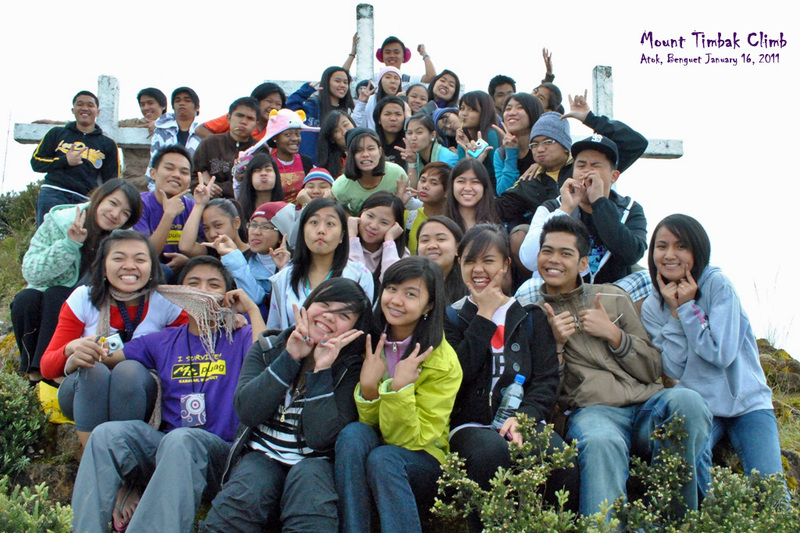 Going from Manila first you must get to Baguio City. The easiest way is to get a bus from Metro Manila, from the Victory Liner Bus Terminal in Cubao, EDSA. Buses to Baguio leave every hour. From Baguio, take a bus going to the direction to Bontoc, via the Halsema Higway. Buses going in this direction depart from the Slaughterhouse Road or the terminal of buses going to Sagada at the back of Center Mall. 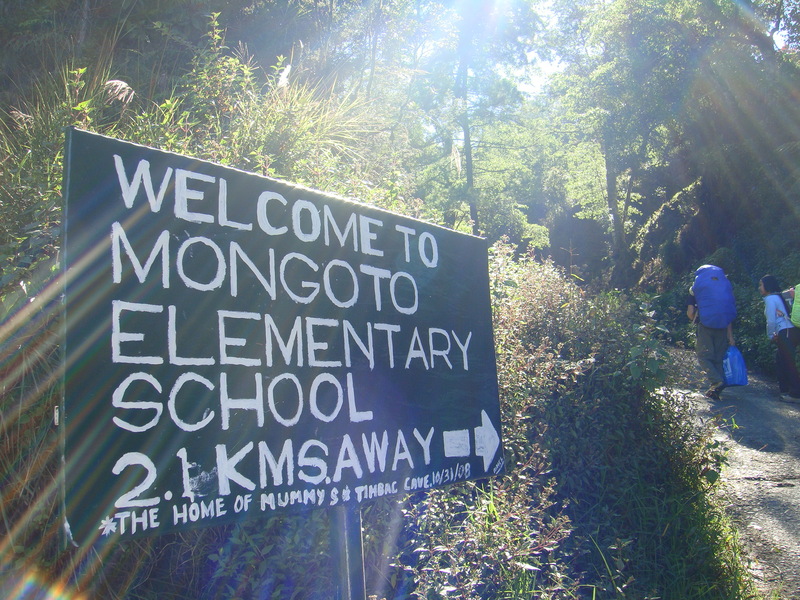 It takes about 2 hours to the jump-off point at the 55 km of the Halsema Highway. From the Halsema highway you have to turn right to a very steep cement-paved side road. If you stray away from the main path, all the other roads terminate at one of the houses of the locals who would then direct you back to the main road. The main road is actually the same road that traverses Timbak down to Kabayan Barrio. Then, one will pass by an elementary school. One may ask the locals for the trail to the peak. 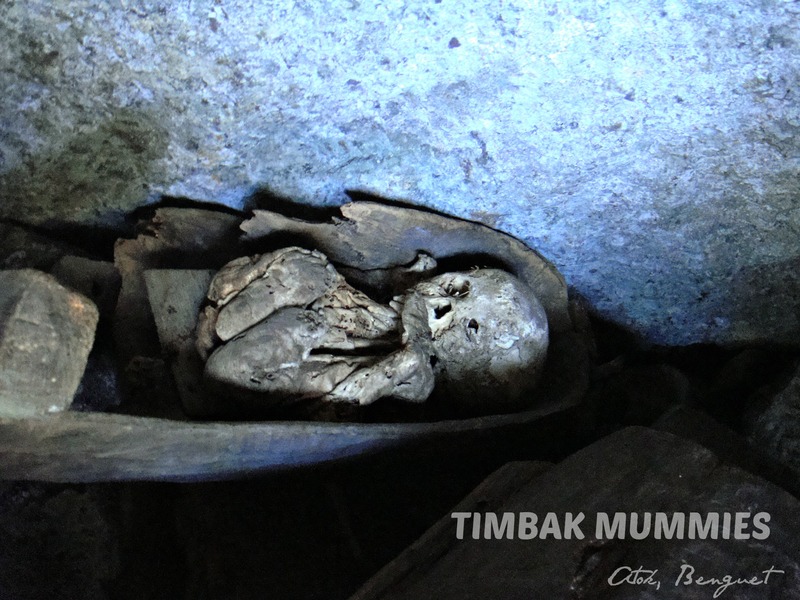 Following the main road farther would lead you to the Timbak mummies. 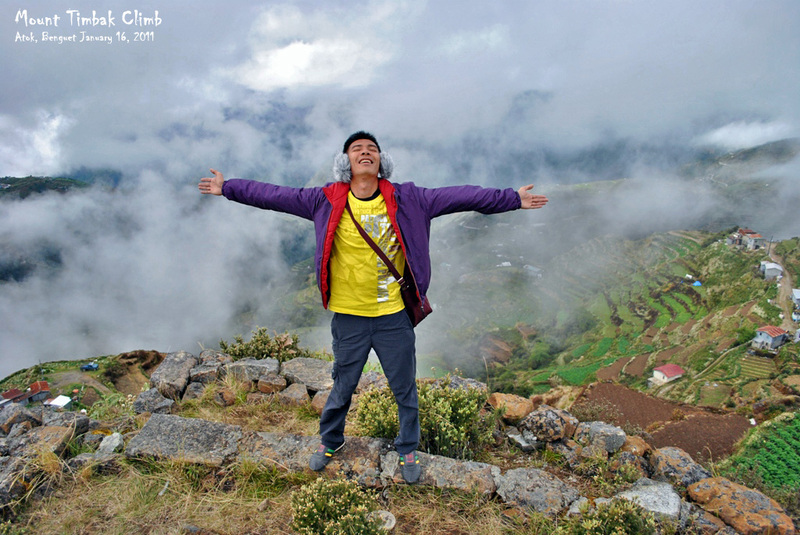 ***To date, I have scaled this mountain on 2 occasions, and it was really great to have influenced friends to come with me and enjoy the beauty of nature. What a beautiful place to unwind. Breathing cold and fresh air is so relaxing. Maybe one day, I’m going there for a vacation. You should my friend. Really relaxing being away from the city life. Thanks for dropping by. Hello, Sir! I am actually from a town near Atok, really near. Nakaka-inspire talaga makabasa ng ganito kahit na ako mismo na tagadito, hindi ko maexplore. Yung isa pong photo in this article is a signage na dinadaanan namin sa Halsema Highway. 🙂 Hope to read more of your posts. Wow. Thank you for reading mg posts. Pardon the grammar of some. Hahaha. And wow for Atok. 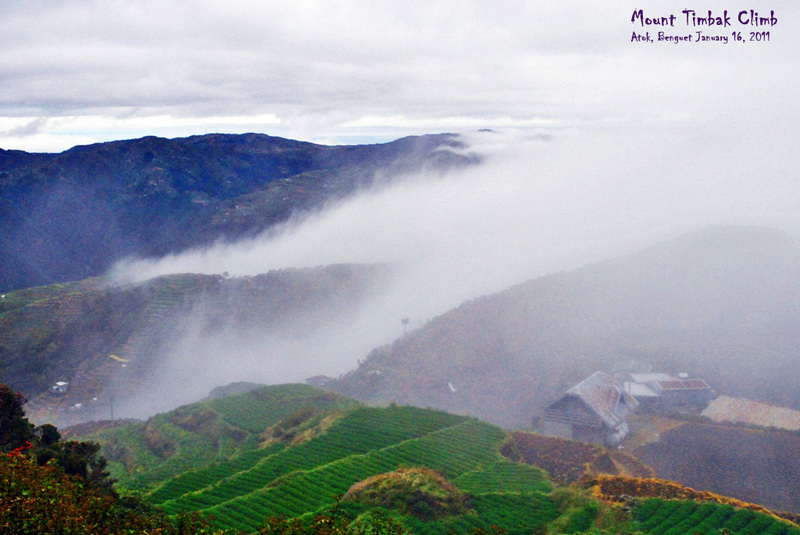 I looooooove Benguet and the Cordilleras. You’re so fortunate to be living in a beautiful place. Kung meron mang error, hindi ko napansin. Hehe. All your posts, makes me want to book a ticket or magdaydream. Haha. Salamat, salamat sa pagvisit sa province namin ng paulit ulit! Thank you too. And I will never get tired of visiting the Cordilleras.